Interesting footage of a USO also called a “Fast Mover” at high velocity under the water filmed from an airliner en route to LAX. 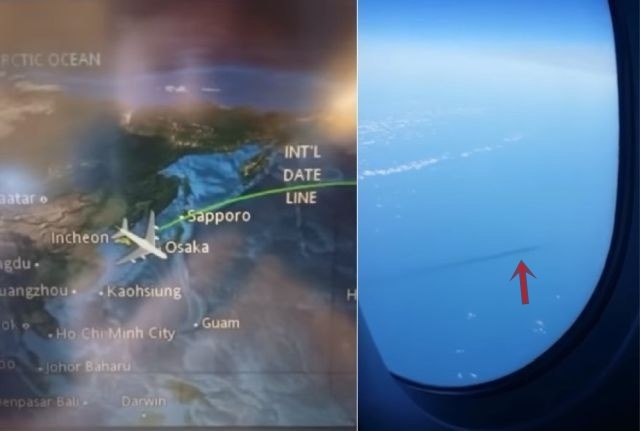 A plane passenger has filmed a USO (Unidentified Submerged Object) at the moment the commercial plane flew above the Sea of Japan and even the plane is flying at a cruising speed of almost 1,000 km per hour the USO goes even faster. 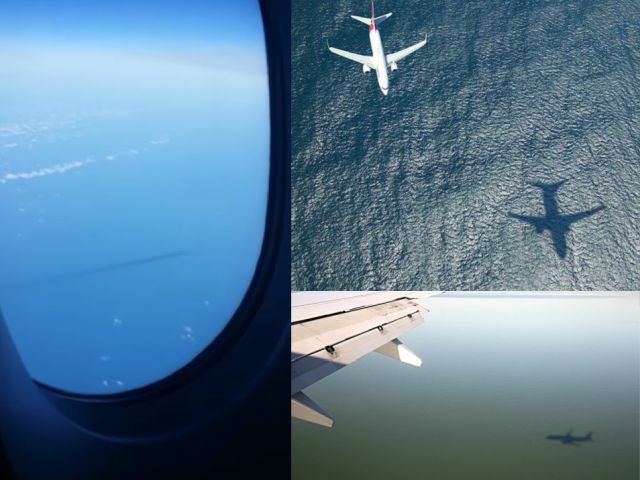 Some people will say that the long dark trail/object underwater is just a shadow of the plane but if we compare the shadow of a plane on water with the USO then we see that is completely different. What we are seeing is the USO with a long trail of water displacement behind it, indicating that the USO is moving through the water at high speed. The plane passenger is not the only person who has witnessed such an underwater alien craft also Marc D’Antonio, an astronomer and chief video analyst for UFO organisation MUFON witnessed what he believes must have been an alien craft travelling at impossible speeds under the water while he was on board a US Navy submarine in the North Atlantic ocean. According to Marc D’Antonio the US Navy is running a top secret programme to detect unidentified submerged objects “fast movers” beneath the sea.